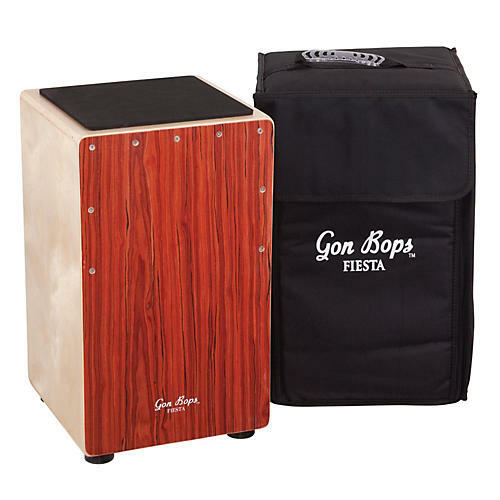 This Fiesta Cajon by Gon Bops features a mahogany frontplate and finish. Heavy-duty rubber feet ensure bass tones don't get lost in the floor, and this mahogany model comes with four internal guitar strings and a set of small adjustable bells; the string tension is adjustable via two small hex bolts with hex key conveniently housed inside the drum. Additionally, this "box" includes a free padded gig bag and seat cushion for an added value.